ZURICH (Reuters) - Swiss drugmaker Novartis (NOVN.S) is moving further into gene therapy by buying AveXis (AVXS.O) for $8.7 billion (£6.17 billion) , adding a rare-disease treatment that could reap billions in sales. The acquisition reflects a surge of interest in biotech deal-making as large pharmaceutical companies seek promising new assets to boost their pipelines. The $218-per-share cash deal announced on Monday represents a 72 percent premium to AveXis's 30-day volume-weighted average stock price. The transaction is seen closing in mid-2018. Novartis Chief Executive Vas Narasimhan, who took over on Feb. 1, is flush with cash, having just agreed to sell his company's stake in a consumer healthcare joint venture to GlaxoSmithKline (GSK.L) for $13 billion. Narasimhan is now counting on AveXis's main drug, AVXS-101 for deadly spinal muscular atrophy (SMA), as well as the Illinois-based company's gene therapy expertise and manufacturing capabilities, to bolster Novartis's neuroscience business, a focus for the Swiss company. 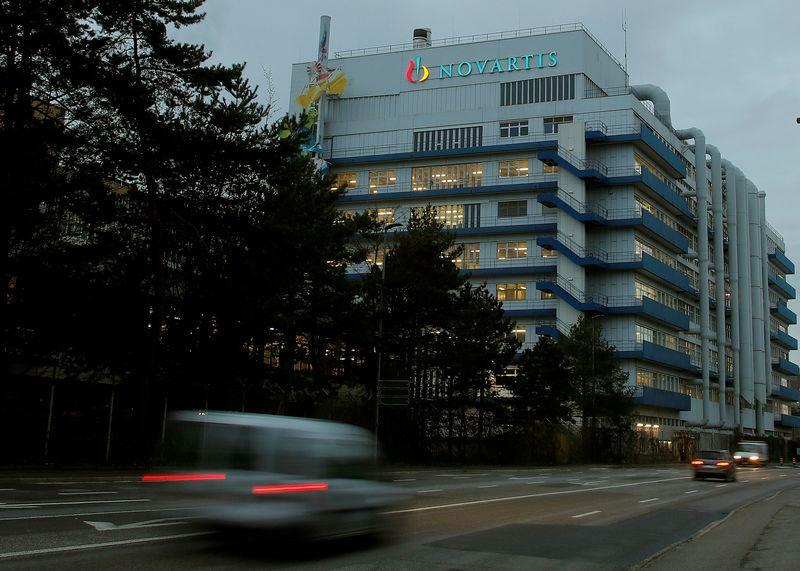 This is Novartis's second notable gene therapy deal this year after it agreed to pay $105 million upfront and up to $65 million in milestone payments for rights to Spark's blindness treatment Luxturna outside the United States. "We believe the medicine would have a multi-billion dollar peak sales potential," Narasimhan told reporters of AVXS-101, which has so-called breakthrough therapy designation in the United States and is expected to be submitted to regulators this year. "It also provides us capabilities in gene therapy," he added. "We have a robust internal portfolio of gene therapies in ophthalmology and neuroscience in Novartis Institutes for Biomedical Research. And we look forward to using AveXis's capabilities and technical development capabilities to be able to advance that portfolio." Novartis shares were up 0.8 percent at 0830 GMT. The company said the acquisition would slightly dent core operating income in 2018 and 2019, due to research and development costs, before strongly contributing to profits in 2020 as sales accelerate. Adding promising drugs from outside to boost sales growth down the road is a strategy being pursued by several of Novartis's rivals. France's Sanofi (SASY.PA) agreed to buy U.S haemophilia specialist Bioverativ for $11.6 billion and Belgium's Ablynx for 3.9 billion euros. U.S.-based Celgene (CELG.O) bagged cancer specialist Juno Therapeutics for $9 billion. Japan's Takeda Pharmaceutical <4502.T> is also considering a deal for London-listed Shire (SHP.L), which has a market value of about $47 billion. Novartis's second bet on gene therapy in four months will fuel speculation of mergers and acquisitions as large pharmaceuticals and biotech companies remain on the prowl for smaller targets, Jefferies analyst Michael Yee said. "Clearly Novartis is building out in gene therapy," Yee said. "Who's next?" Narasimhan, who said the patient population for SMA was 23,500 people in established markets, plans to use proceeds from the GSK transaction to help pay for AveXis. SMA affects the nervous system that controls voluntary muscle movement, and commonly leads to death in young children. So far, a study of AVXS-101, which replaces a faulty gene, shows children achieved many important motor nerve milestones after getting treatment. Additional data is due for release this month, Narasimhan said. There are existing treatments for SMA - Biogen's and Ionis's RNA-splicing Spinraza, approved in 2016, generated $363 million in the fourth quarter of 2017 - as well as therapies under development by Roche (ROG.S) and Cytokinetics (CYTK.O). "Novartis is taking the view that AveXis's ... transgene approach trumps Biogen/Ionis' approved Spinraza and other agents in development," UBS analysts wrote. Narasimhan said the transaction reflected Novartis's strategy of hunting for new medicines and technologies to buttress medicines it is developing in-house. "Our goal is to continue to build on our core medicines," he said. "With the exit of the GSK stake, our intention was to re-deploy capital into our core." AveXis is also developing gene therapy candidates in other rare diseases, Rett Syndrome and inherited amyotrophic lateral sclerosis, that Novartis also sees as good prospects. Novartis's financial adviser on the deal was Dyal Co LLC, while AveXis's was Goldman Sachs (GS.N).